In our day and age organizations of all sizes from large to small all face real security threats that are not to be taken lightly. Some of the more common everyday network threats network administrators’ deal with on a day to day basis are social engineering threats that are used to trick non technical computer users into downloading malware and other threats such as computer viruses. These threats are not new and are not going to go away. An alarming number of small and medium sized businesses not only in Orlando Florida but everywhere have fallen victim having their neglected computer network being compromised – hacked which leads to many dangerous activities such as data theft, computer network penetration and compromise which ultimately leads to having servers, desktop computers and other devices infected and potentially destroyed. One of the biggest problems I see is lax computer access by not having a computer / network policy in place which easily enables unauthorized users to access data that should be kept under lock and key and not available for all employees to have access to. 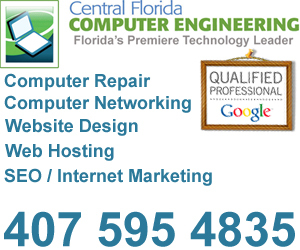 This is especially true for small and medium sized businesses in Orlando Florida that may not have the budget to hire a qualified network administrator on a full time basis which leads many small organizations to fall short of having a professional designed, build and properly maintained computer network. Employees with complete access to servers and data pose a tremendous internal threat if they turn against the company. So does anyone (including executives) who maintains inappropriate access rights to information after changing positions within a company. Employees of third parties may have access to unencrypted data. 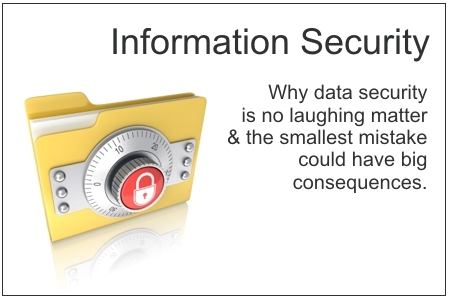 Data stored in the cloud can be very dangerous especially for small and medium sized businesses. If you are storing your data on a cloud do you know where your data is physically located and do you know who has access to your data? I promise you, you are not the only person to have access to your data if it is stored on a cloud. While the physical servers you rent or lease may be owned and operated by one cloud hosting company I can assure you the servers are likely to be housed in multiple data centers or facilities the United States and even overseas and are physically and virtually accessed by many other people which puts your data at risk of being seen, shared and or stolen from you. If you are going to use a cloud I highly recommend you get to know the company that will be hosting your cloud. Ideally if you can afford it would be in your best interest to own your own cloud and have it maintained by a local network administrator that you can meet in person and get to know. Political motivated hacking is on the rise, as illustrated by organizations such as Anonymous and Lulz-Sec. However, they assert that much of their success comes from finding easy targets, not because of any particular technical expertise. While you may or may not have control over whether you are hacked or not, you can make it far more difficult for an attacker to succeed. Using lies, deception, manipulation and more to gain sufficient knowledge to dupe an unwary company (and any unintentionally yielding employee) is an age old technique. But it’s no longer limited to just the phone; it can be done over a social media network. Posting the details on FaceBook of every aspect of your upcoming “unplugged vacation” may just be the weak link of information that a scammer needs to take advantage of you and or your organization. Most successful data security breaches have some element of managerial negligence associated with them. Never, never, never leave it up to blind trust that cloud service providers are implementing appropriate security measures and looking out for their customers. Check cloud service providers thoroughly and as mentioned before, get to know whoever you are considering to be your cloud service provider. As mentioned before, ideally if you can afford it would be in your best interest to own your own cloud and have it maintained by a local network administrator that you can meet in person and get to know. Many whilelisting and application control systems depend on valid digital systems, which basically tell the systems, which basically tell the operating system, “You can trust me, because I am valid.” Using rogue or fake digital certificates that are in circulation, attackers and computer – network hackers can engage in almost undetectable attacks. A balancing act of convenience versus security, the growing use of personal mobile devices puts organizations at risk and leaves the company vulnerable to attacks. This is an especially sensitive area for companies that have yet to create and enforce a strong “Bring Your Own Devise” policy. Most have not. Misuse of entrusted organizational resources or privileges is exclusive to parties that are trusted by an organization, such as insiders and business partners. This also happens when policies are not clearly defined and enforced. Abuse flourishes when boundaries are not well established. Tampering, surveillance and a theft can be caused by a disgruntled former employee. Terminated employees who still have their security badges can easily gain access if the badge system was not updated upon termination.